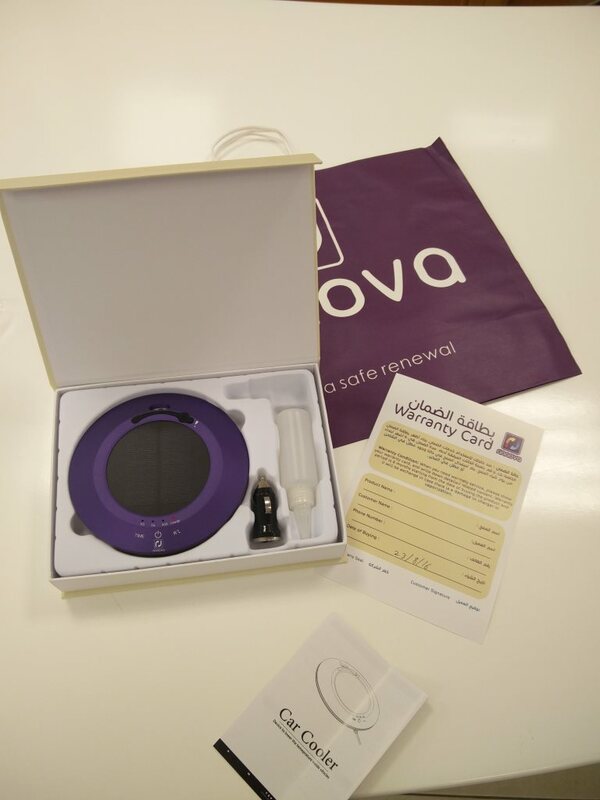 Last week there was a pretty big social media buzz around a SQU startup called Rinnova. I managed to purchase one of their car coolers (for RO 15) on their second day of sales and have been testing it out for the last couple of days. This testing included asking a few other people to test the unit out in their cars too, so I could gather a few different opinions on the unit. Firstly, I have to share that not being an Arabic speaker, it was actually quite hard to contact them to place my order. Their website, http://www.rinnovacompany.com/ is entirely in Arabic, as is practically all of their media / marketing. Seeing as this is an Omani company, I don't really think this is necessarily a terrible thing, I am just remarking that as a non-Arabic speaker (or reader) it's was a bit challenging. I finally had the brainwave to check that the phone number on the website (9480 0898) is active on WhatsApp and it was, and that is ultimately how I made the purchase - giving my location via WhatsApp and paying cash for the unit when a very nice man met me to deliver it. The branding is pretty slick, and the unit comes well packaged and it worked right out of the box, being powered by the solar panels. I read the manual that comes with the unit, which was obviously written by someone who struggled with written English. From reading those instructions and piecing things together I figured out how to fill the reservoir and turn the thing on and set the timing on it (on constantly, on for 5 seconds (and then off for 5 seconds) or on for 30 seconds (and then off for 30 seconds). I'm told the Arabic literature claims that it can cool a car by up to 10'C, and the device will run for 6 hours on low, or 3 hours on high. I've tested this device in my car at the same time in the afternoon on consecutive days, once with the windows closed, and again with the windows cracked open. It is my unscientific finding that this device made absolutely no difference to the ambient temperature in my car at all. It was, however, a fairly effective air freshener when I added some essential oil to the water reservoir. In both scenarios (windows cracked or closed) I had my sun-shade in the front window in-place which I find helps a great deal in reflecting heat. I'm not condemning this device because simply I haven't taken the time to do a scientific study of it's claimed properties - and there are no actual instructions available in English for me to go by to see if I'm even using the device properly; but it is my opinion, and the opinion of the handful of people I lent this device to, that this device does not noticeably cool a car (and certainly in my experience doesn't drop the temperature by 10'c). As such... does anyone want to buy my device? I paid RO 15 for it... your's for a tenner! 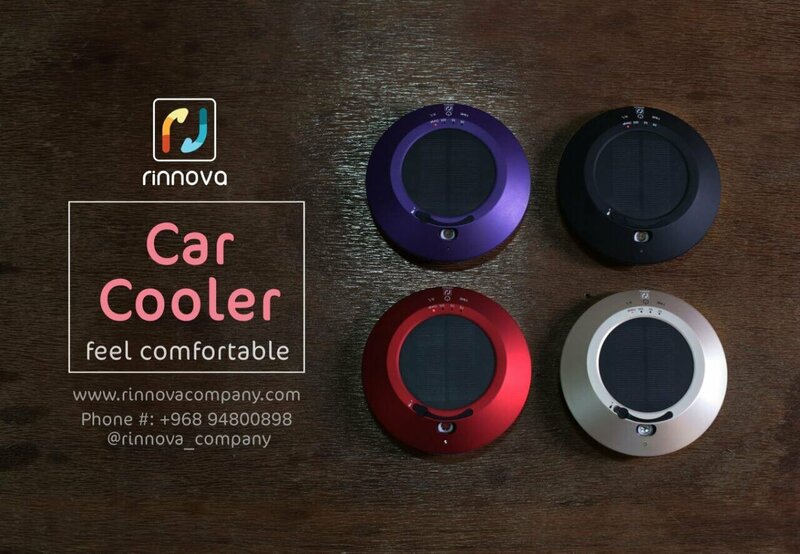 Wonder why you need a car cooler? There is A/C? Or is it supposed to work when the car is not running? Sythe, basic physics cannot be ignored, you are RO15 poorer but at least the car will smell nice! Thank you so much for this quick review, I tried my luck also to get in touch with them first from their Twitter account and from there they gave me a number to get in touch, unfortunately, until now I didn't get any reply. Its a different number actually from their website and from this review. Im glad that you bought and test it out. I was planning on getting one. Is it still up for saale? id like to getcit from u.